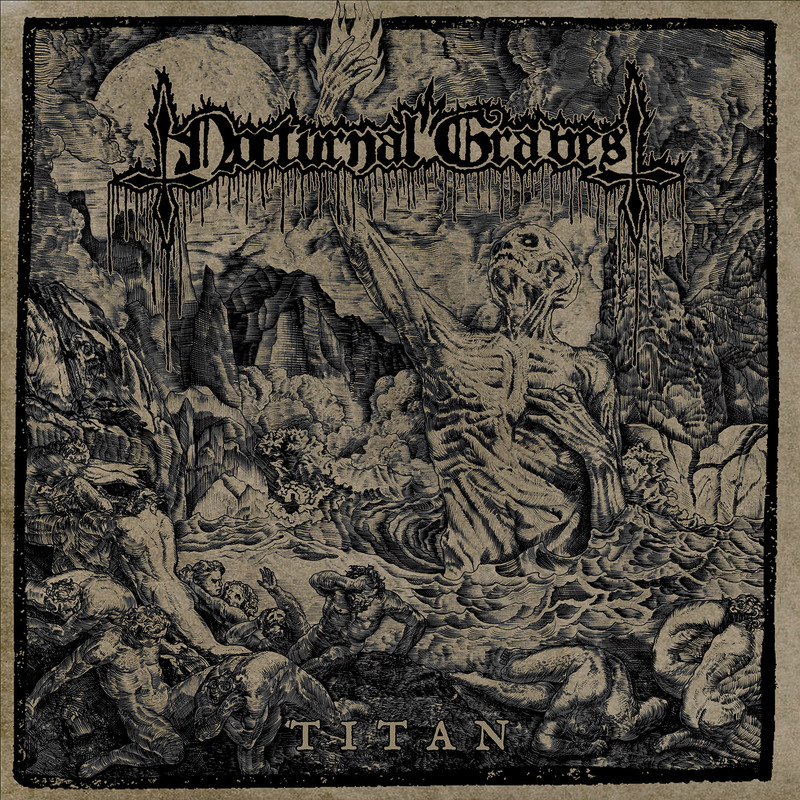 Titan is the first new, third overall in their discography, album from Australian blackened thrash metal act Nocturnal Graves. The band which consists of current and former members of Destroyer 666 and Denouncement Pyr. The album is a furious and bile spewing demonic monster of a release. One, that quickly makes up for lost time and decimates all that stand in its way. There is a seething anger and hatred that dominates this satanic slab of viciousness. Razor fast and driving the music, mixes elements of trash, death, and, of course, black metal, and gives us an album that definitely stands out in the underground. The second track "Roar of the Wild" roars right into existence with shredding and slicing guitars that sound like Slayer taken to the blackest of extremes. From there it drives forward with speed, blast beats, and a pummeling attack. "Eccdysis, Shedding Weak Flesh" beats the listener with a slow and pounding, dark atmospheric feel that is evil, foreboding, and unquestionably heavy. The middle part where it slows down completely, with a rumbling undercurrent is guaranteed to chill the listener to the bone. The dark and anger filled "And Hell Followed Them" erupts as if from the very depths of hell, itself. Signer/ bass player J. opens the song with some of the most inhuman and demonic vocals you are likely to hear. "Bow Before None" has a South of Heaven meets early Darkthrone feel and sound to it, that is ferocious and utterly merciless and amounts to my favorite track on the album. The title song closes off the album with an almost doom metal like opening that builds into a locomotive like chugging and then sonic pummeling, that sears and slashes the flesh right off your bones, as the hate filled blast beats threaten to bring hell on earth. Titan is an evil and heavy sounding attack on the senses. Haunting and blistering it does a killer job of mixing elements from various types of extreme metal. The result proudly shows off their influences while, making their own distinct sound. 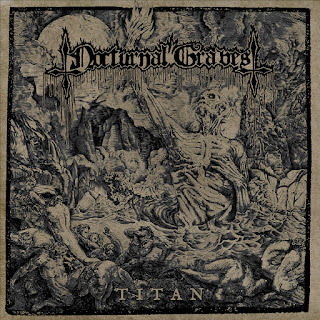 If anything the album serves as reminder of just how underrated Nocturnal Graves is and how it is time for the metal community (at least those into the more extreme side) need to stand up and take notice. Here is hoping that more will take notice of them and take this majestic and searing trip into the inferno.